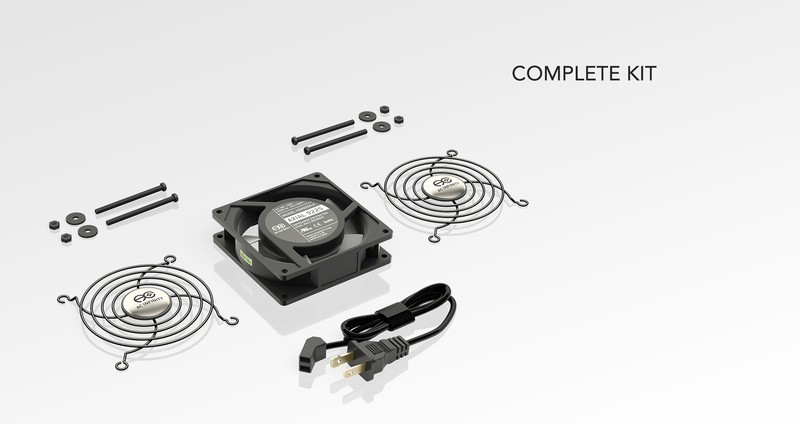 The AXIAL series fan kit is designed for various DIY projects that requires cooling or ventilation; or as a replacement fan for many products on the market. Each fan kit includes fan guards and everything needed to mount the unit onto a wall and power it through a wall outlet. S-series models include a speed controller. Fans feature a heavy-duty aluminum casing and thermoplastic blades. The motors are engineered to maximize airflow and contains dual-ball bearings rated at 67,000 hours.